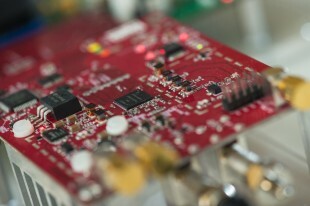 Rice University engineers have demonstrated the first system that allows wireless data transmissions over UHF channels during active TV broadcasts. If the technology were incorporated into next-generation TVs or smart remotes, it could significantly expand the reach of so-called “super Wi-Fi” networks in urban areas. Zhang and Knightly’s report on the research, titled “WATCH: Wi-Fi in Active TV Channels,” won best-paper honors last month at Association of Computing Machinery’s MobiHoc 2015 conference in Hangzhou, China. The project was built on with a custom daughtercard on WARP v3 hardware and the WARPLab 7 Reference Design.